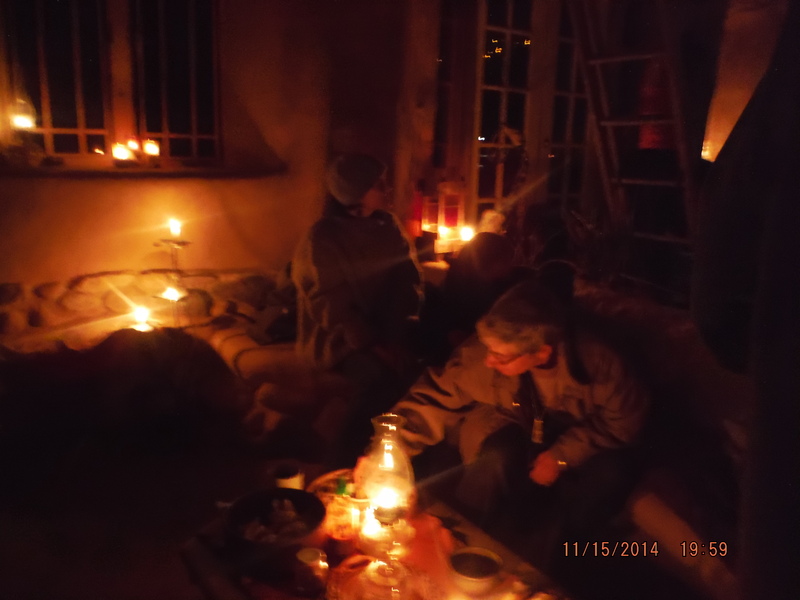 The warmth of candlelight and conversation …. Greenfire Trio donated their music to that evening, blessed us with their joyful energy. Ah. At one point the group of about 40 folks together and shared their stories of “regional regeneration” and we also celebrated those who had volunteered and contributed to the Strawbale Studio during the year. $360 was donated by folks to the Compost Furnace Fund during the evening ! Hurray ! Compost Pile thermometer tops out somewhere over 120 degrees. ! 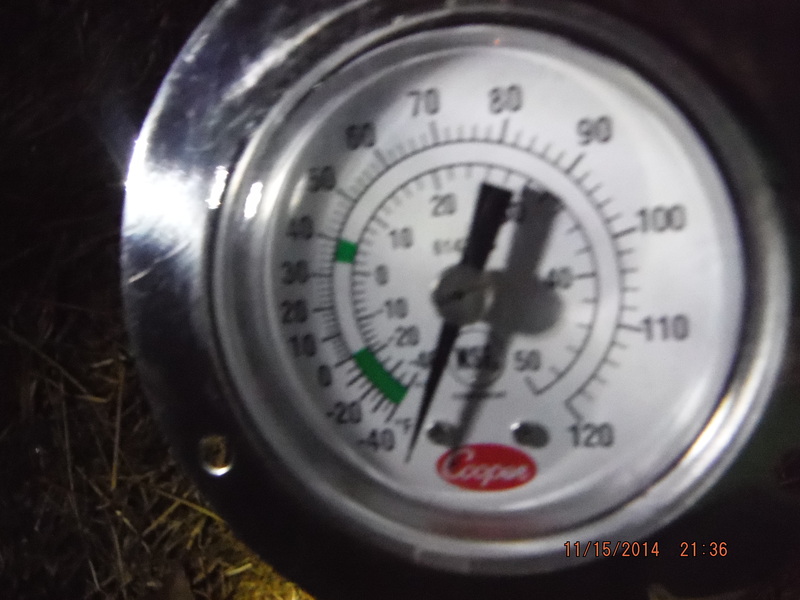 Then there was the thrill of checking the temperature on the new Compost Furnace biomass pile for the first time, and watching the needle climb from 25 degrees outside on this cold night, to somewhere around 140 degrees. It went beyond the 120 that the thermometer registered, and we cheered in amazement. Ah.all shared stories of “local regeneration” and celebrated those who had volunteered and contributed to the Strawbale Studio during the year. Fabulous Finger Food … treats contributed by many ! 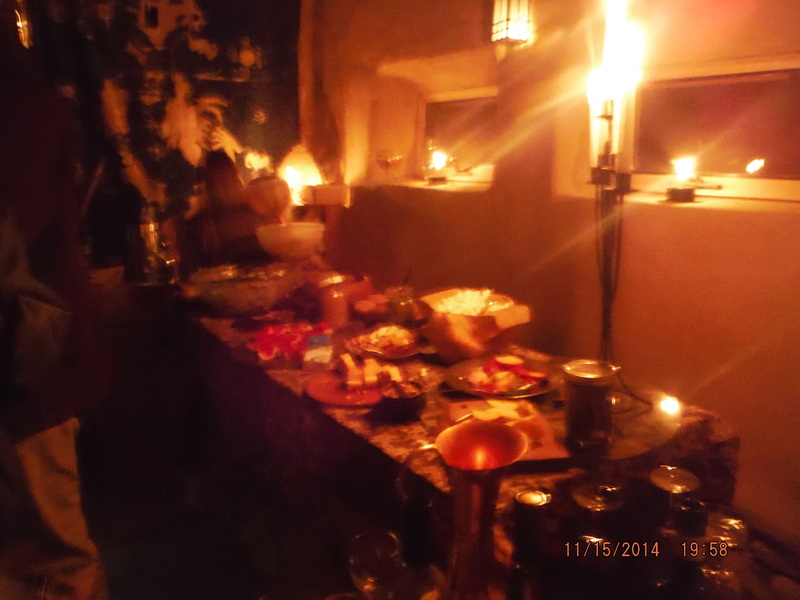 The food and libations were fabulous. This moment was co-created by all the people who came that evening, and all those who have ever been part of the Strawbale Studio. It was truly a very favorite day in my life, for everything was present. 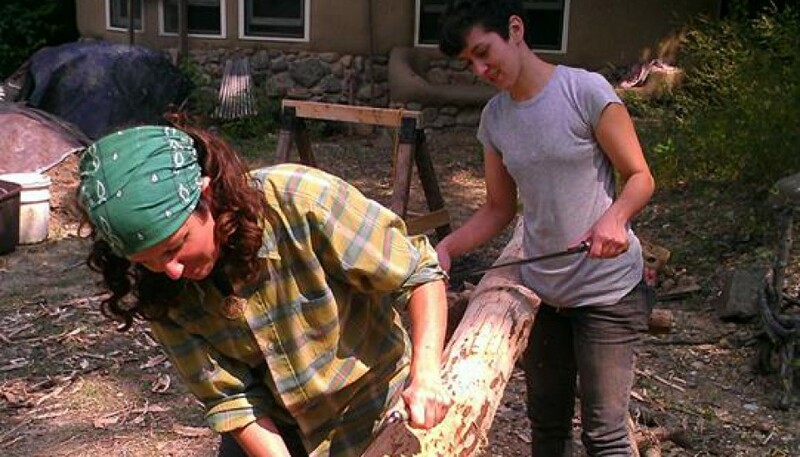 On November 8th & 9th, for a full-on 2 days, students were involved in the understanding and creation of EFFICIENT FIRE ! We started with the principles and dynamics of how things burn and the evolution of containing fire for higher efficiency and cleaner burn. 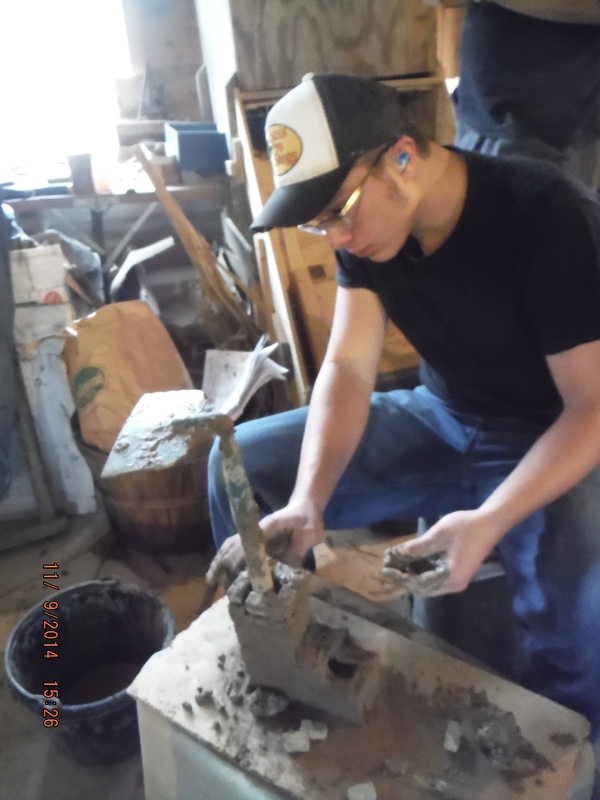 A Tour included firing up and using the OUTDOOR COOKER ~ an easy, basic rocket stove, and checking out several efficient RUMFORD FIREPLACES and the EARTH OVEN. We build and fired up a brick MOCKUP of the Combustion Unit of the Rocket Stove to learn and experience the principles of rocket stove proportions. Very fun. Cozy on the Rocket Stove heated bench. Mmmmmm. A highlight of the weekend was lighting up and experiencing the Totem Rocket Mass Heater in the Red Shed, where our workshop was held. We felt the instant warmth from the Heat Riser Barrel, and the slow heat that eventually conducted through the bench. 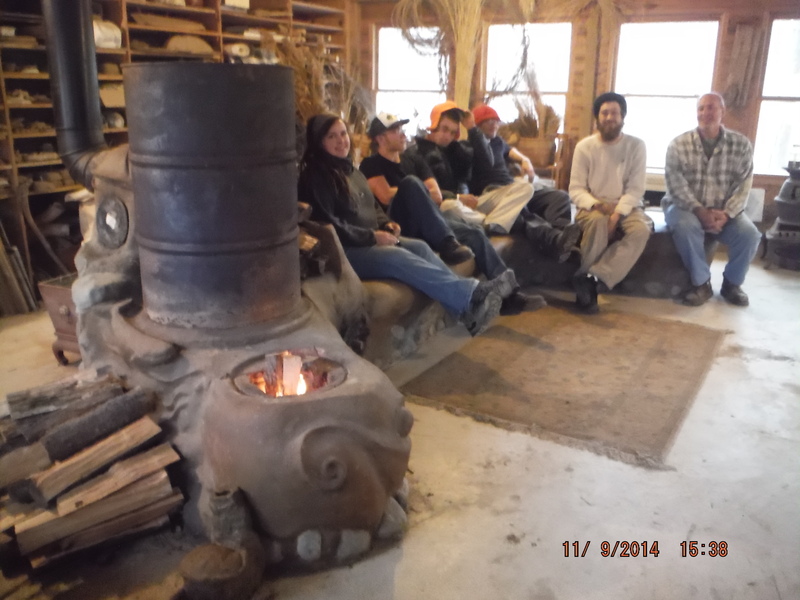 AH, how great to sit on this cozy, cozy earthen seating surface, in the midst of practical learning and good folks. Even though it was a cold day, all our fire experiences provided an elemental and comfortable setting whether we were indoors or outside. Each participant mixed cob and constructed their own model to take home. 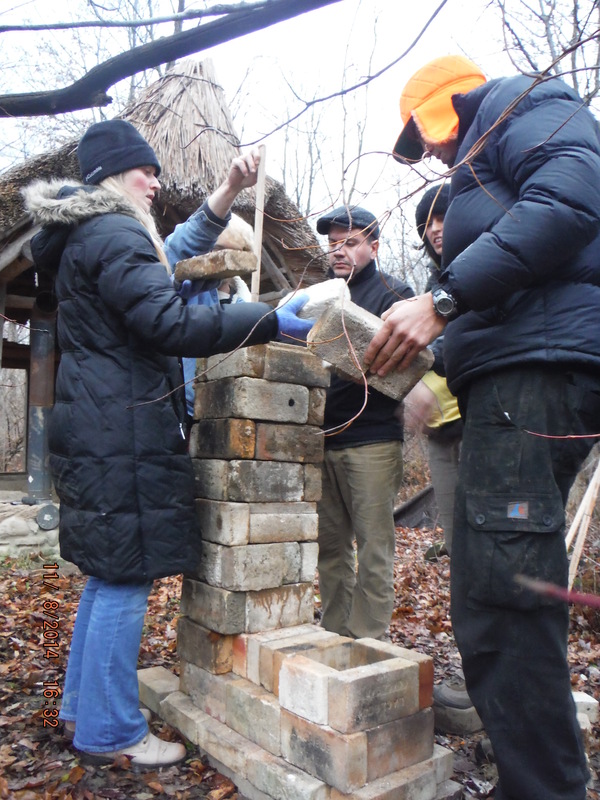 Everyone mixed cob and made their own individual model of a rocket stove to take home. The event finished with a demonstration of Finish Plasters and Natural Sealing Oils for completing EarthenRocket Stove projects. It was a very fun and fulfilling weekend.